So this weekend, a friend hosted a potluck, since it was a long weekend. She also wanted me to bring my nail polish to paint her meticulously grown nails (they take forever to grow to non-stubbins status it seems). What started off as a normal DRD-nomming event turned into a full-out girls' night (guys included)! And then add polka dots! Because I can't leave it alone. I need to work with my dotting tool more often. And next is the masterpiece! Sadly, I didn't create this, but actually a totally unexpected source: Bruce. He knows nothing about nail polishes and gives us this?! Awesome. 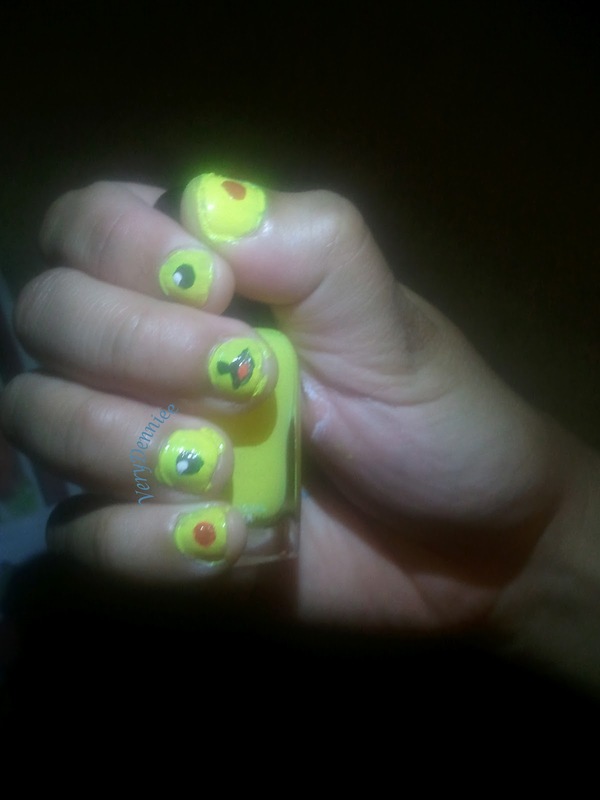 And then this one manicure inspired some more Pokemon manicures, which I sadly did not get pictures of.